During the 2019 Dredging Summit & Expo several awards will be presented to recognize individuals and organizations for outstanding engineering and operational achievements. Environmental Excellent Awards on Wednesday June 5, 2019 in the International Ballroom following lunch. Safety Excellence Awards on Wednesday June 5, 2019 in the International Ballroom following lunch. Anchor QEA Young Author Award – on Wednesday June 5, 2019 in the International Ballroom following lunch. DSC Dredging “Why Dredging is Good” Award – on Wednesday June 5, 2019 in the International Ballroom following lunch. 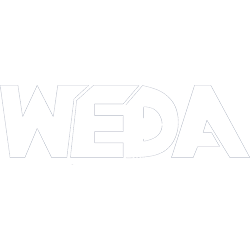 Moffatt & Nichol / WEDA Best Paper Award – on Wednesday June 5, 2019 in the International Ballroom following lunch. IADC Young Author Award – on Wednesday June 5, 2019 in the International Ballroom following lunch. Dredger of the Year – on Thursday June 6, 2019 in the International Ballroom at the GALA Dinner. Lifetime Achievement Award – on Thursday June 6, 2019 in the International Ballroom at the GALA Dinner. Best Booth Awards – on Friday June 7, 2019 in the Continental Ballroom during the closing session.